Weary of power struggles with your former spouse? Struggling as a single parent? Trying to adjust to life as a step-parent? Co-parenting with someone whose philosophy is different from your own? Susan hears from parents every day who are struggling to cope with the challenges of single parenting, co-parenting after divorce, blending families, and parenting with a partner when philosophies differ. In this series, Susan will share conversations with a wide range of experts about how to raise confident, well-adjusted, happy children outside a traditional family or when tension between parents threatens to create ongoing stress. Susan is the author of Parenting Without Power Struggles, Parenting With Presence (An Eckhart Tolle Edition) and the weekly parenting advice columnist for The Huffington Post. Entire recorded series available with invaluable bonuses! Kim Eng is the creator and facilitator of Presence through Movement. Kim travels and works extensively with her teaching partner Eckhart Tolle, the author of the bestselling books The Power of Now and A New Earth. Kim has developed a teaching approach that incorporates and complements Eckhart’s teachings. Her work translates these teachings into a structured, embodied practice to support the arising of presence and the awakening of consciousness. Jacqueline Green is the author of the upcoming book, Strong Enough to Stay; Smart Enough to Go. At one of her lowest points she stopped the escalating physical violence in her marriage, by going to a woman’s shelter with her kids. Through her work she touches and inspires others by sharing how her marriage and parenting have been her biggest gifts because of, not in spite of, the serious challenges. She’s been a parenting coach, educator and speaker for over 15 years and she founded the Great Parenting Show in 2010. A Sociologist and Senior Fellow at UC Berkeley’s Greater Good Science Center, Christine Carter, Ph.D., is the author of The Sweet Spot: How to Find Your Groove at Home and Work and Raising Happiness: 10 Simple Steps for More Joyful Kids and Happier Parents. Dr. Carter has been featured in The New York Times, the Los Angeles Times, The Washington Post and more. She has appeared on “The Oprah Winfrey Show,” the “Dr. Oz Show,” the “TODAY” show, the “Rachael Ray Show,” “The Daily Show with Jon Stewart,” as well as NPR and BBC Radio. Combining scientific research and practical application, Dr. Carter offers not just a way to cope with modern pressures, but a way to truly thrive. Dr. Carter also writes an award-winning blog, syndicated on Huffington Post, PsychologyToday.com, PositivelyPositive.com, and Medium.com. Derek Rydall is the author of the #1 Amazon/Barnes & Noble best-seller EMERGENCE: Seven Steps for Radical Life Change and the world’s #1 expert on the revolutionary Law of Emergence. He has trained top executives at Fortune 500 companies in empowered leadership and communications, and has coached celebrities and media professionals on creating conscious entertainment. As a regular Huffington Post contributor, and host of the top-rated Emergence podcast on iTunes, he reveals cutting-edge spiritual principles and success strategies to achieve financial freedom and abundance, master productivity and creativity, and gain true wealth and happiness. Dr. Laura Markham, a clinical psychologist, earned her PhD from Columbia University. She translates proven science into practical solutions for families. Dr. Markham is the author of Peaceful Parent, Happy Kids: How to Stop Yelling and Start Connecting and Peaceful Parent, Happy Siblings: How to Stop the Fighting and Raise Friends for Life. The founding editor of AhaParenting.com, Dr. Markham serves as a parenting expert for Mothering.com, Psychology Today, The Natural Parent Magazine, Pregnancy.org, Girlie Girl Army and SheKnows.com. She appears on TV and radio, and has been interviewed for The Wall Street Journal, Real Simple, Newsday, Men’s Health, Redbook and Parents Magazine. Dr. Markham’s relationship-based parenting model has helped thousands of families across the U.S. and Canada. As the founder of Dating with Dignity, Marni Battista has dated, was married for 17 years, divorced, and then successfully dated again (and married!) in the 21st century. She raised 3 confident and happy daughters while navigating her way through these major life changes. She has undergone professional training in dating and relationship coaching as well as training in the Core Energy Coaching Process from the Institute of Professional Excellence in Coaching (IPEC). Marni also has extensive training as a Facilitator with the Hoffman Institute, one of the world’s foremost organizations in personal development. A guest co-host on Dr. Drew Pinsky’s Loveline show, Marni was called LA’s best dating coach after her appearance on On Air with Ryan Seacrest. Kristin Neff, Associate Professor of Educational Psychology at the University of Texas at Austin, is a pioneer in the field of self-compassion research, conducting the first empirical studies on self-compassion over a decade ago. She is author of the book “Self-Compassion: The Proven Power of Being Kind to Yourself,” and the 6 CD audio set called “Self-Compassion Step by Step.” Kristin offers workshops on self-compassion worldwide and is also featured in the bestselling book and award-winning documentary The Horse Boy, which chronicles her family’s journey to Mongolia where they trekked on horseback to find healing for her autistic son. Dr. Tina Payne Bryson is the co-author (with Dan Siegel) of two New York Times bestsellers: THE WHOLE-BRAIN CHILD and NO-DRAMA DISCIPLINE. 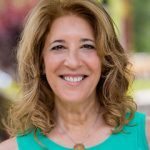 She is a pediatric and adolescent psychotherapist, the Executive Director of The Center For Connection in Pasadena, CA, the Child Development Specialist at Saint Mark’s School in Altadena, CA, the Director of Child Development for Camp Chippewa in Cass Lake, MN, and the Child Development Director for Lantern Camps. Tina earned her PhD from the University of Southern California. What bonuses come with the replays? We’re offering wonderful extras to those who invest in the replays. Please see the bottom of this page for details. How long can I listen to purchased replays? There is no expiration date on the replay purchase. They’re yours to listen to now and in the future! What information is covered in the conversations? Susan and her guests cover everything from minimizing co-parenting conflict with a loving spouse to raising a child after divorce with someone who is highly self-absorbed and uncooperative–and everything in between! The material covered in this series is relevant for parents of children of all ages– from toddlers to young adults. Your purchase also includes these amazing bonus gifts, as a thank you from your host Susan Stiffelman! Children are highly resilient, but they need lots of loving care and support to adjust to life without both parents present. In this 20 minute audio program, your host of the series Susan Stiffelman shares practical tips to help children cope with loss, manage anger, work through grief, and adjust to a new family configuration. In this interview, Susan talks with Dr. Dan Siegel, renowned neuropsychiatrist and author of Brainstorm: The Power and Purpose of the Teenage Brain about the parenting teens. A fascinating discussion filled with insight and practical suggestions for better understanding tweens and teens. (Don’t have a teen yet? Listen to this now to be better prepared!) Dr. Siegel’s newest book, Mind: A Journey to the Heart of Being Human is out soon. Dr. Michele Borba shares her study guide for her brand new best-selling book, Unselfie, with tips on helping kids succeed by developing empathy and handling stress. Dr. Borba’s 9-step program helps parents cultivate empathy in children, from birth to young adulthood — and explains why developing a healthy sense of empathy is a key predictor of which kids will thrive and succeed in the future. In this 10-minute Forgiveness Meditation from New York Times Bestselling Author Katherine Woodward Thomas, you’ll experience support to complete old hurts and evolve beyond any resentments you may still be struggling with, particularly toward your co-parenting partner. 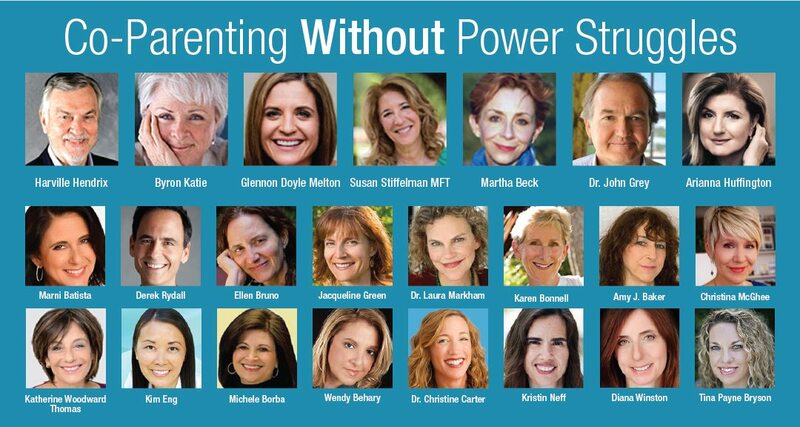 Members in Susan Stiffelman’s Parenting Without Power Struggles Monthly Membership program know that they can work with Susan or email a question each month for less than $1.00 per day. This special bonus will give you access to this program for just $1 for your first month PLUS you’ll have access to the prior month’s replay. You’ll get parenting support from weekly parenting articles, a monthly Q & A and coaching call with Susan, and a private Facebook group to help you connect with other like-minded parents. Internationally recognized divorce coach Christina McGhee offers a two-chapter excerpt from her book, Parenting Apart: Co-Parenting Strategies for Single, Step, and Blended Parents. In these chapters, she shares wisdom for those becoming a single parent or joining a blended family. Great information in a highly readable format. 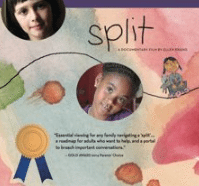 Ellen Bruno shares her Viewer’s Guide for her highly acclaimed documentary SPLIT, a film about divorce for kids and their parents. The guide offers support and resources for both parents and professionals around the topic of helping children adjust successfully to divorce.